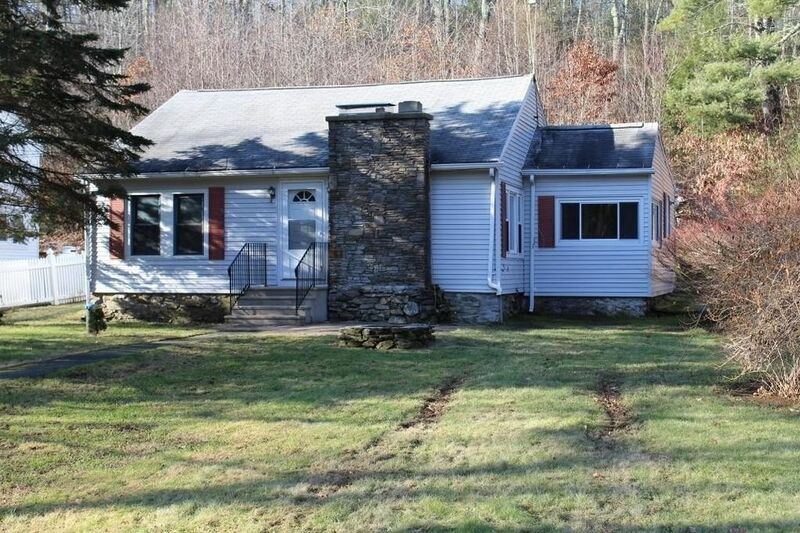 Great location just off of Rt 122 for easy commute towards Worcester/Shrewsbury area! 1,304 S.F. Ranch on over 4 acres abutting state owned conservation land with a nice yard area including space for gardens and lawn plus a detached 16' x 22' garage, the remainder of land is a nice mix hard and softwood trees. Hardwood floors in living areas and bedrooms with tile floor in the oversize bathroom. Stone fireplace highlights spacious living room and a second stone fireplace is located in partially finished basement. Buderus boiler and water heater, septic and well all updated since 2007. Directions: Route 122 to North Brookfield Road. First house on right.